The Fall is perhaps more literally-titled than you’d expect – it begins with a space-faring soldier hurtling through the air and landing with a crunch on an alien planet. Unconscious and badly injured, his fate lies in the hands of the artificial intelligence installed in his mechanised suit. You play the AI – named ARID – and must find medical help for your passenger by any means necessary. It’s a brilliantly original premise for what turns out to be one of the smartest, most atmospheric point-and-click adventure games of recent years. The heart of The Fall is its story. 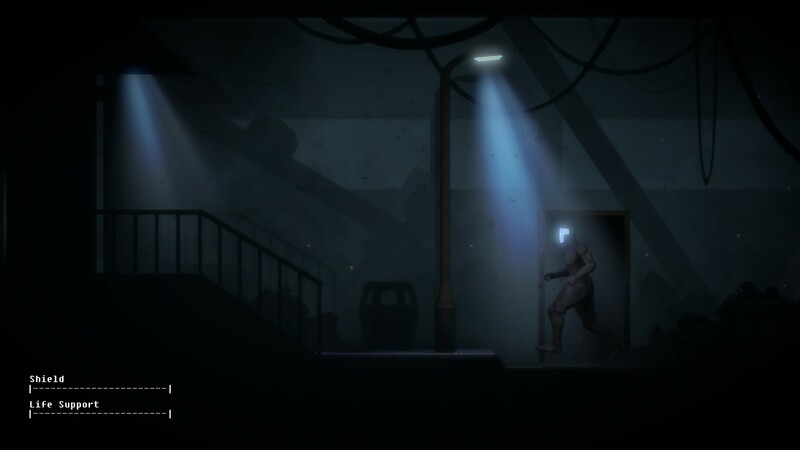 It’s minimalist, with barely a handful of characters and locations, but wonderfully immersive and tense. Playing from the perspective of an artificial intelligence is a unique experience – your struggle is as much against your own hard-wired programming and directives as it is against the hostile game world. You’re pragmatic, emotionless, and bound by unbendable internal rules, and your resulting interactions with the game’s characters and puzzles are fascinating. An early section sees you needing to use your active camouflage system to avoid a security scanner – the problem is, your programming only allows you access to that system if your pilot is in mortal danger. The solution? Deliberately put him in such danger. Walk him into the path of an active sentry gun, then use the camouflage to save him at the last second. It’s fascinatingly outside-the-box game design – puzzle solutions that would seem bizarre if you were playing a human intelligence seem completely logical when playing an artificial one. It’s unusual to see puzzles integrated so well into an adventure game’s story – more often than not in the genre the actual gameplay feels tacked-on and contrived relative to the narrative. 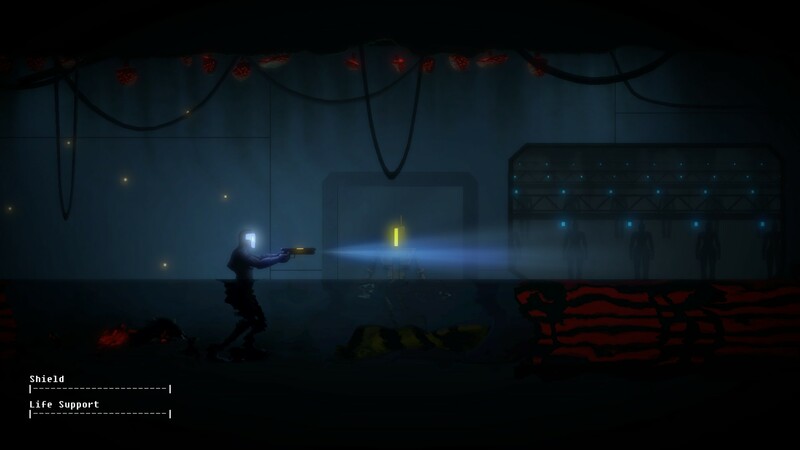 The Fall, by contrast, seamlessly blends the two by telling a story that is about puzzles. Sinister visuals and sound design also compliment the writing perfectly, giving the game a fantastic sense of place. The environment is full of unsettling little details that, while perhaps not tipping the game fully into the horror genre, certainly serve to keep the player on edge throughout. Even the UI serves the atmosphere, with retro ASCII art reminiscent of the computers of classic 70s and 80s science fiction films. Where the game unfortunately lets itself down is in its controls. Interacting with the world is clunky and unintuitive, making some puzzles more frustrating than they should be. The problem is exacerbated by regular combat sequences, based around a poorly-implemented cover-based shooting mechanic. The encounters aren’t exactly hard, but they’re decidedly not fun, and they feel like unnecessary filler, always going on that bit longer than they should. Worse, unlike the puzzles, these fights do feel contrived, jammed into a story in which they don’t fit, in service of gameplay that ultimately doesn’t come together anyway. They’re not deal-breaker issues – more problems to ignore than to gnash your teeth over – but they’re disappointing in a game that’s otherwise so smartly made, and it feels like they could easily have been avoided. The game may also be a little short for some. It’ll only take you an evening to play through, maybe longer if you get stuck on some of its trickier puzzles. It’s intended as the first instalment in a trilogy, and certainly it ends on a hell of a cliffhanger, but to my mind it works as a self-contained story, and I felt entirely satisfied at its conclusion. Despite a little clunkiness, The Fall is a hugely impressive debut from fledgling studio Over The Moon. 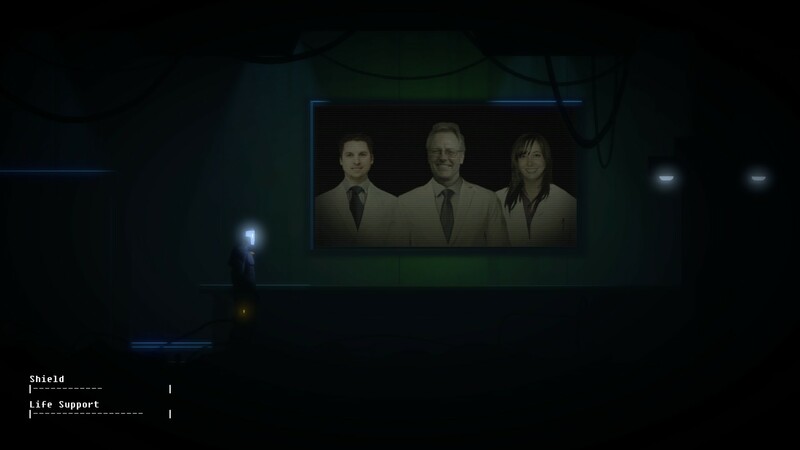 Its thoughtful sci-fi story will have you captivated from beginning to end, and its puzzles are brilliantly conceived – any fan of point-and-click adventure or story-driven games would be remiss not to pick it up.